Your inspiration is served with this classic mix of traditional details, and modern touches. 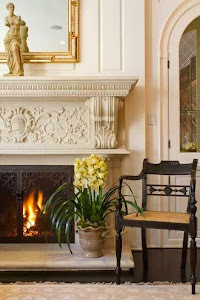 We love the Antique Fireplace Screen sitting in front of the Hearth! Adding Black and Brass to a simple setting can really give a space a little glamour. 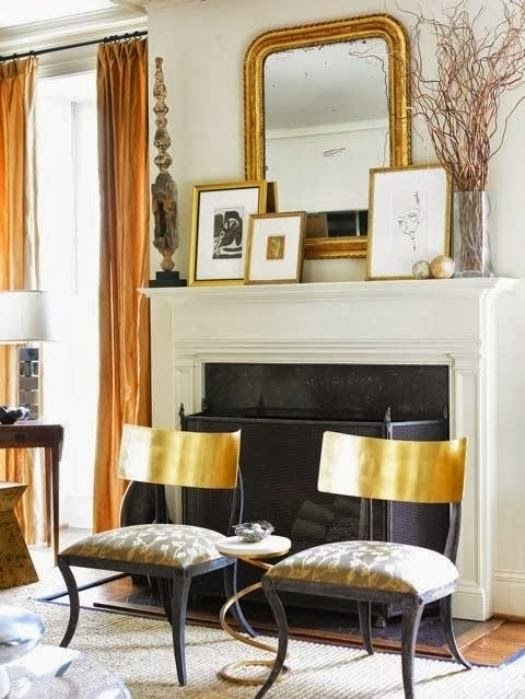 You can easily achieve that with black and brass fireplace accessories around your hearth. It's always exciting to see our product come to life in the pages of a design magazine. Which is why we couldn't be more thrilled to see this feature on the pages of New England Home Magazine, where our Boston Fireplace Screen sits in front of Amy's rumford Fireplace. If you aren't familiar with Amy Beth Cupp Dragoo, founder of ABCD Design, she is a talented artist, designer and stylist sharing time between Manhattan and Connecticut. She is known for a very natural and collected style, that always ties in the work of artisans and craftsmen. We were thrilled when a conversation on twitter led us to custom make this fireplace screen for her home in Sharon, CT. And Amy couldn't be happier with the perfect fit! See the rest of the article and photos from Amy's home at New England Home Magazine! We couldn't be more excited about launching our blog, The Wood Burning Fire, dedicated to everything we love about a good old fashioned Fireplace. You'll find beautiful pictures that will inspire you, and stories that will inform you. 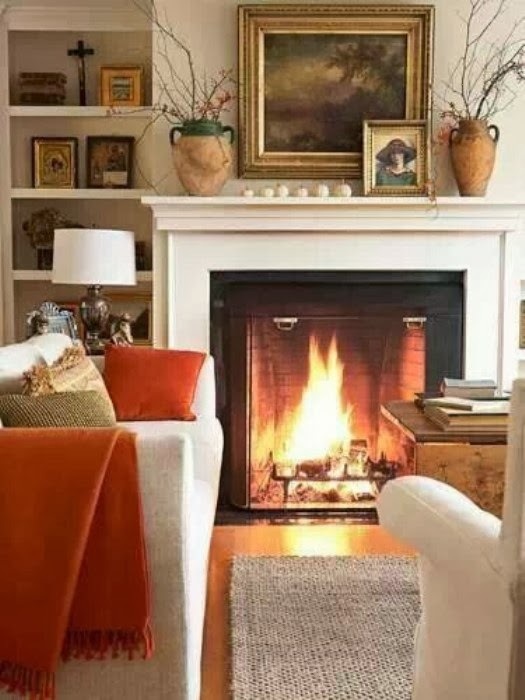 If you are looking for ideas to refresh your old fireplace, or need to measure for a new Fireplace Screen or Fireplace Grate, you'll find everything you need and more here! Let's get started with a few photos to bring you some warmth on this cold and snowy day. 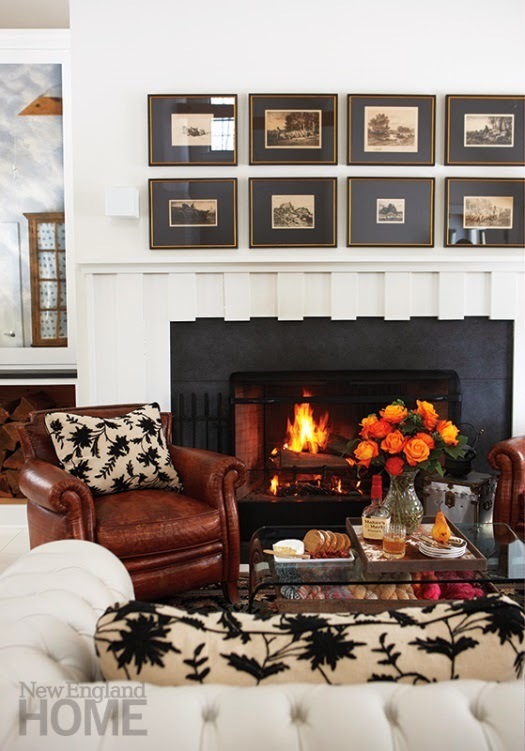 This living room designed by Barbara Barry (featured in Veranda Magazine) has a Rumford fireplace a seriously heavy duty Fireplace Grate. Now that's a fire! 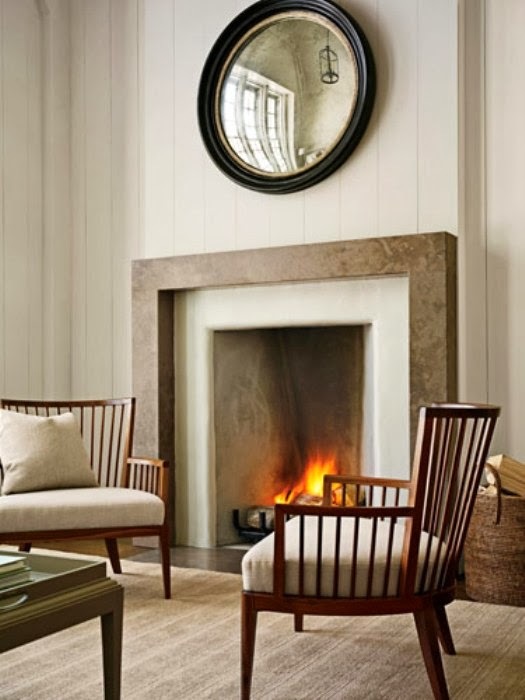 A warm and cozy sitting room in white! No source for this photo, we found it on Pinterest. This is a beautiful updated twist on rustic charm. 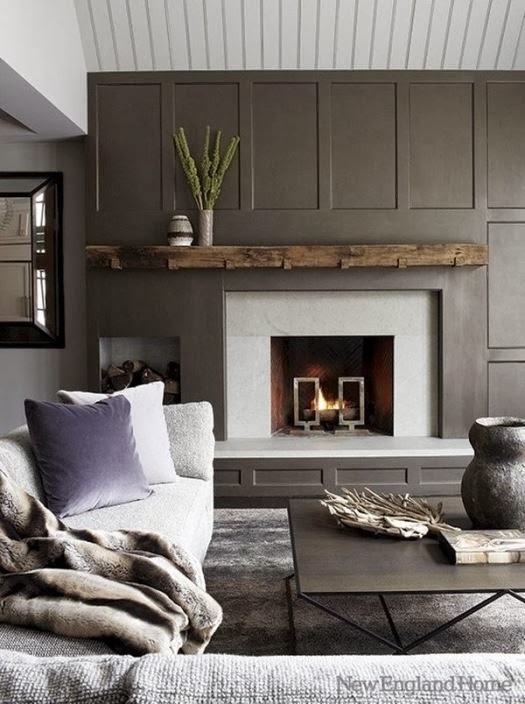 Who doesn't love that reclaimed wood mantel, set up over the dark gray paneling. It's perfection, and check out the ultra modern andirons. This is the place for those of you who can't resist the warmth, the crackle and sweet smell of a true wood burning fireplace, simply because there is nothing else like it. Find inspiration on how to make your fireplace beautiful, and information on keeping it clean and safe.